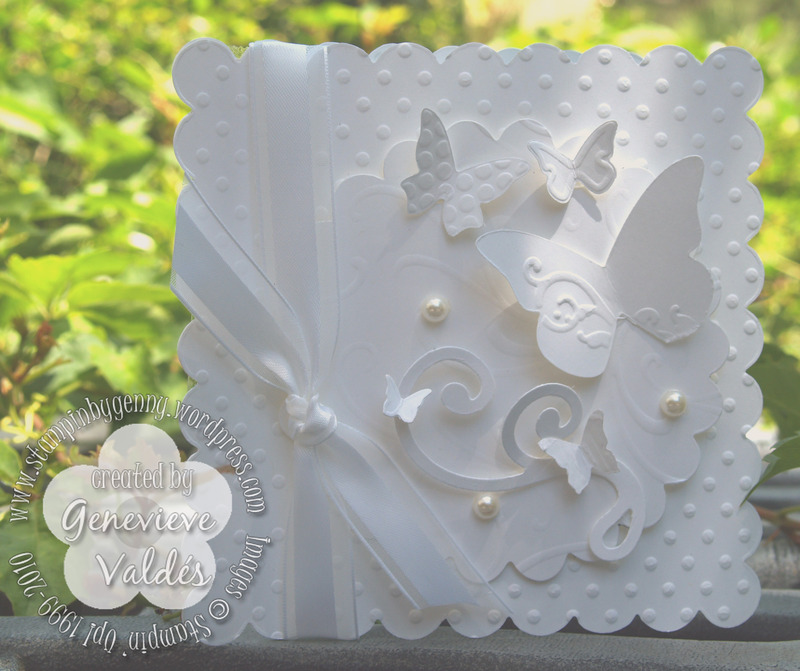 I was inspired by Sandi Maciver to create this white on white card. It’s all created with the Big Shot. No Stamping . I recently showed this card at my workshop to show the versatility of the Big Shot. This would be a great card for a wedding, communion, confirmation or just because. So easy! I taped them together with double stick tape down the left side. I then finished my card with 1/2 pearls from my Pretties kit, and some White Organza Ribbon. This is beautiful! What a great combination of dies. Love the white on white. this is stunning… so pretty! it’s a knock-out! i LOVE all white cards! This is so gorgeous! Very elegant. This card is so beautiful! Love it….. it’s stunning! Absolutely beautiful. Each element, although all white, stands out on its own and makes the entire card beautiful. So, so, classy and elegant….loved your card!! Beautiful loving the white on white for weddings in fact i am just finishing one off !! Did you know that if you fold your card stock and place in the bigshot with the fold just inside the scallop on one side you will have a scallop card already with no need to tape it together ? Hope this helps !! !